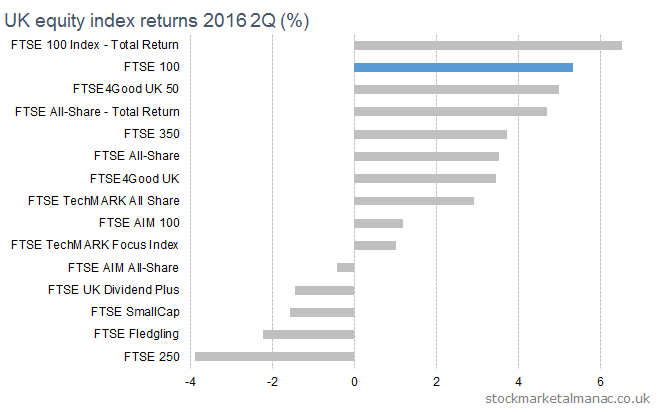 The following chart plots the performance of UK equity indices in the second quarter 2016. 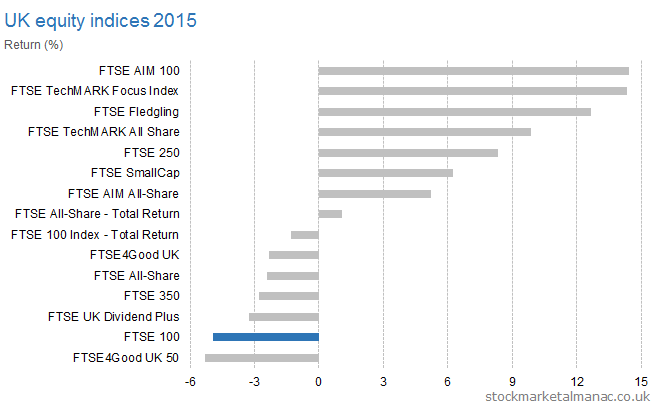 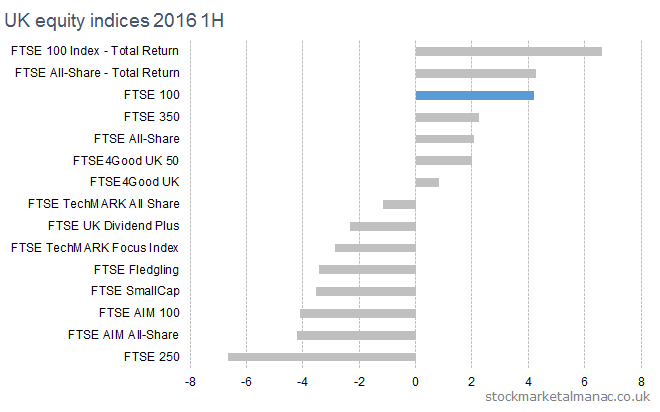 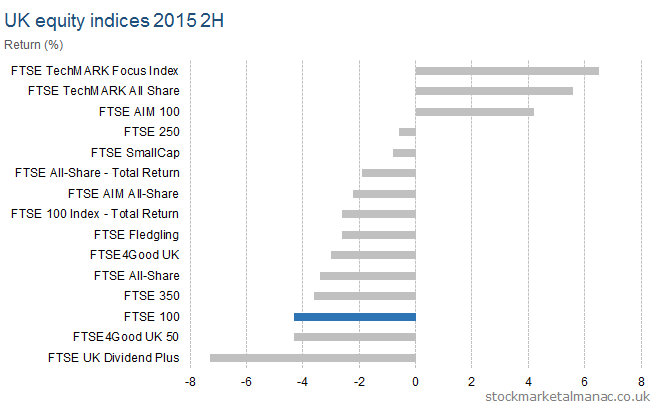 The following chart plots the performance of UK equity indices in the first half 2016. 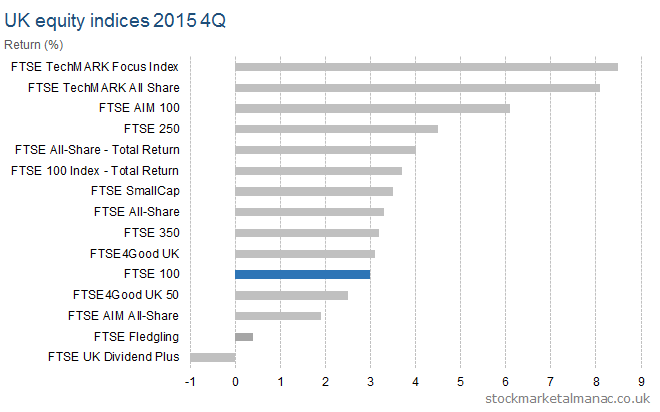 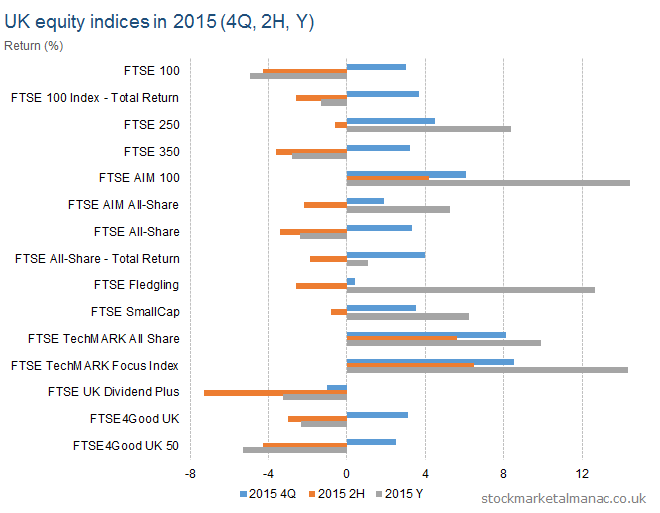 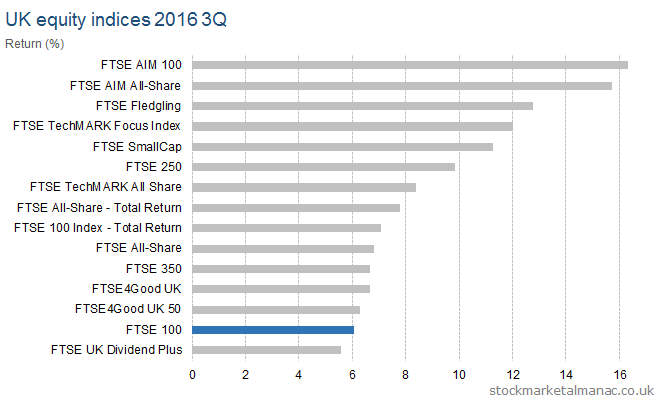 The following chart plots the performance of UK equity indices in the first quarter 2016. 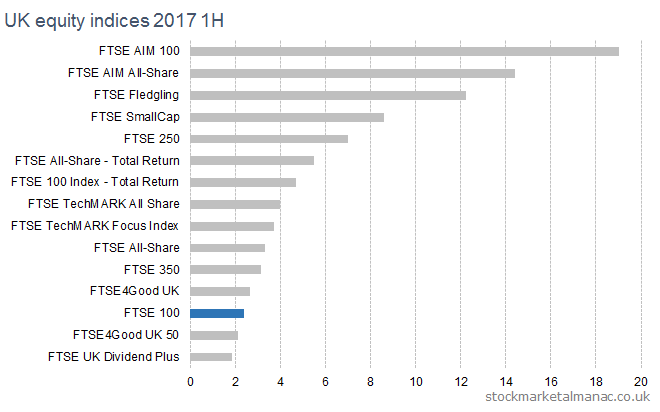 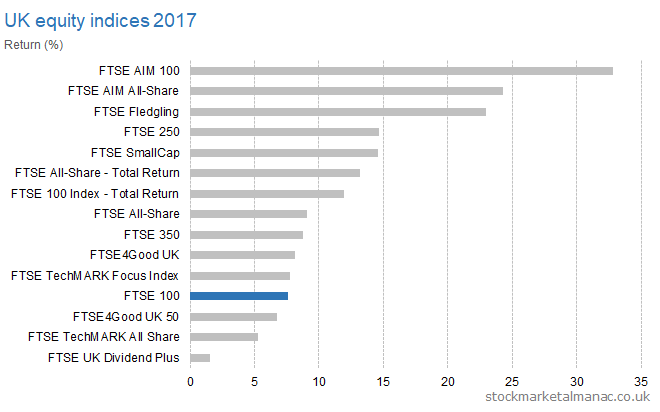 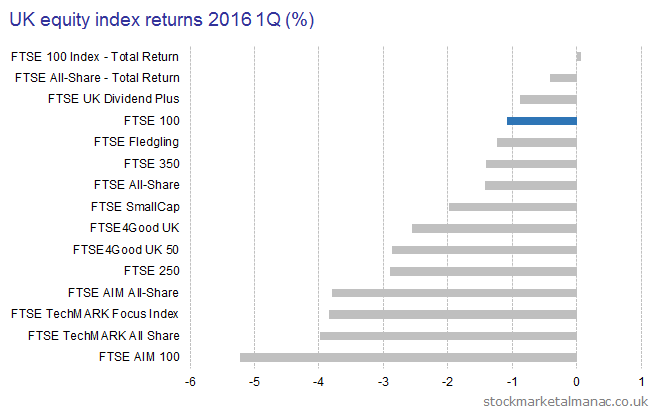 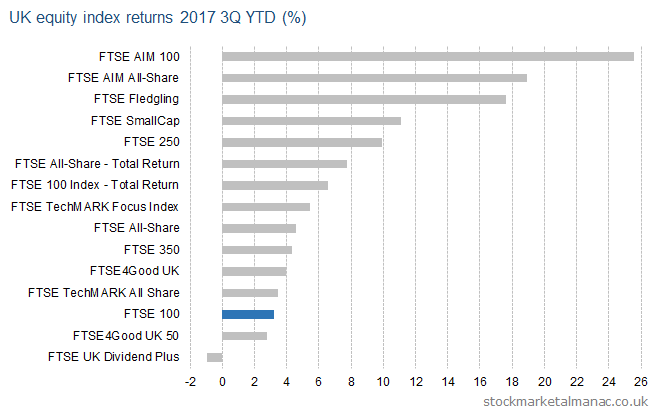 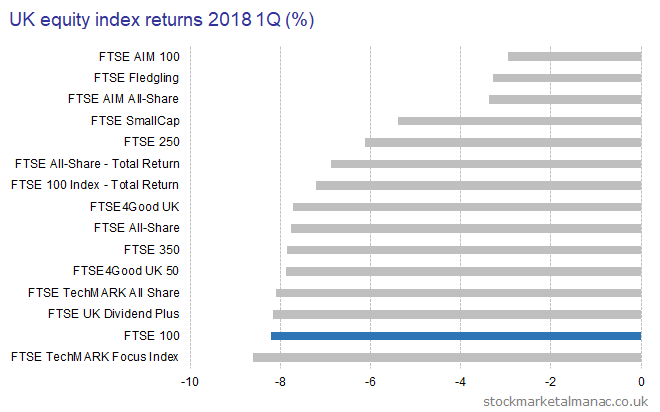 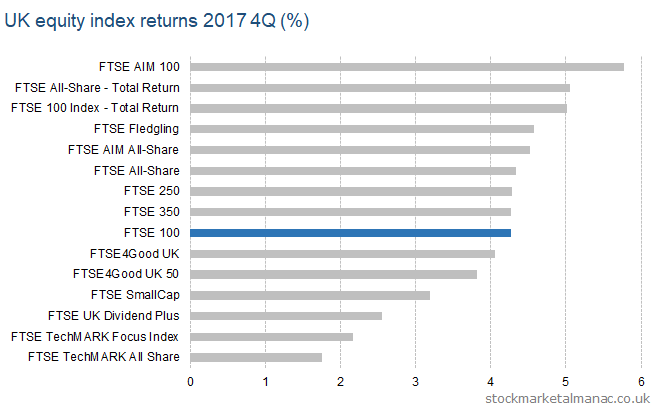 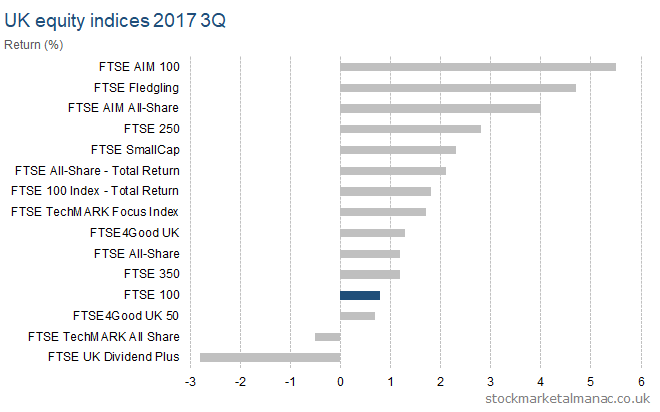 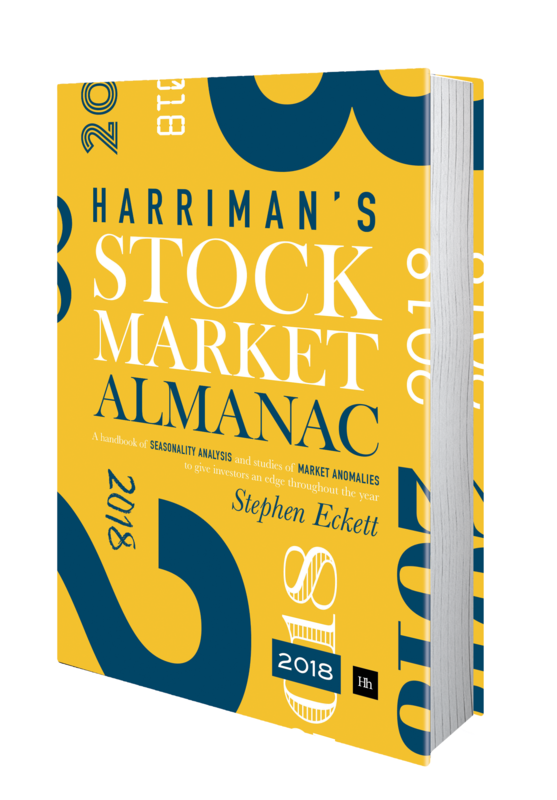 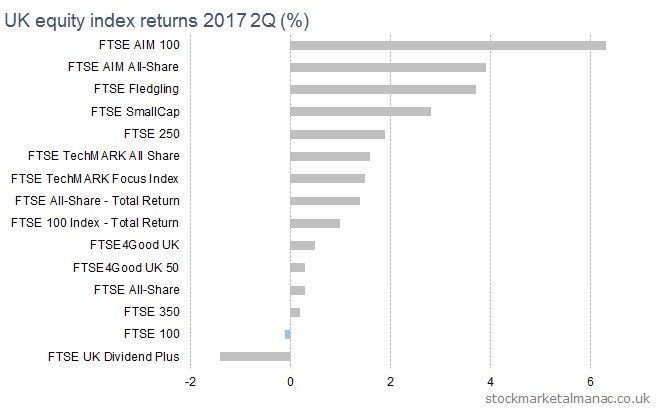 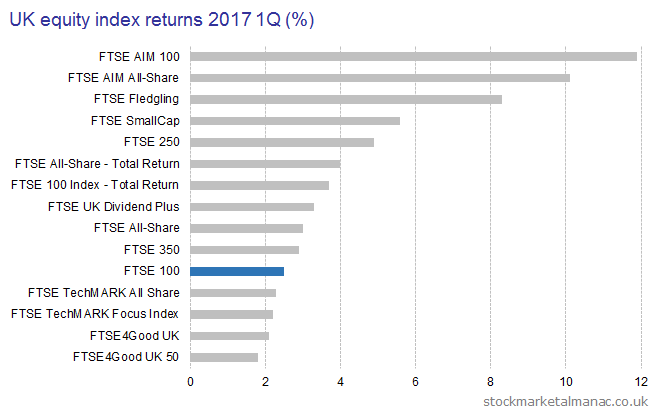 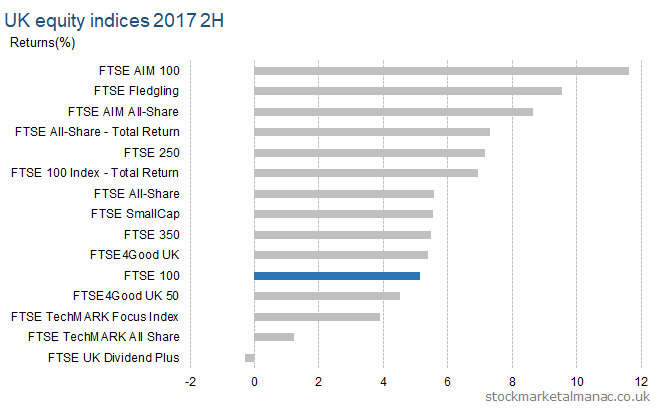 The following charts plot the performance of UK equity indices in 2015 for the whole year, second half and fourth quarter.